PHOTO: Christian Hirt is trying on another continent as he moves to GM of the Swissôtel Sydney. 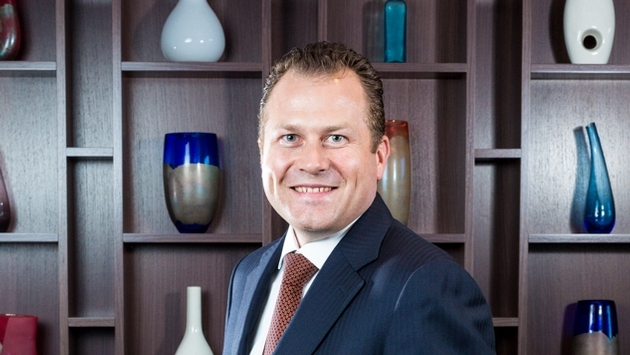 With more than 17 years of hospitality experience in luxury international properties, Christian Hirt is the new General Manager of the Swissôtel Sydney. Hirt has worked on three different continents including North America, Europe and now Australia. Hirt was the Director of Operations at Swissôtel the Bosphorus, Istanbul since 2010 prior to his appointment in Sydney. Prior to joining Swissôtel Hotels and Resorts, he worked within the Le Meridian and Kempinski hotel group, including the Hotel Adlon Kempinski in Berlin. Within Kempinksi hotels he started off as a Banquet Event Sales Manager in Germany and worked his way up to the position of Executive Assistant Manager in St Petersburg, Russia. The Supervisory Board of Deutsche Lufthansa AG named Carsten Spohr as the future Chairman of the Executive Board & Chief Executive Officer. Currently, he oversees the business segment Lufthansa Passenger Airlines in his capacity as board member and will assume his new role on May 1. Spohr, who holds a commercial airline pilot’s license from the Lufthansa Flight Training School and a Lufthansa captain’s license, has been a member of the Executive Board of Lufthansa AG and CEO of the Lufthansa Passenger business since 2011. The position of CEO of Lufthansa Passenger Airlines will be filled when Spohr assumes responsibility as CEO of the Group. This decision will be made by the Supervisory Board by the end of April. FRHI Hotels & Resorts, the parent company of Fairmont Hotels & Resorts, Raffles Hotels & Resorts and Swissôtel Hotels & Resorts, named five senior executives to oversee its growing portfolio of hotels in the Asia Pacific region. Appointments include Wayne Buckingham as Senior Vice President, Asia Pacific; Foued El Mabrouk as Vice President, Operations, China; Tom Meyer, Regional Vice President, Asia Pacific and Managing Director, Fairmont Singapore and Swissôtel The Stamford; Shelley Perkins as Vice President, Human Resources, Asia Pacific; and Julian Anthony as Vice President, Finance & Business Support, Asia Pacific. Buckingham will be based in the company’s Singapore regional office and will oversee FRHI’s Asia Pacific portfolio of 23 hotels. Buckingham brings over 20 years of senior hospitality experience across Australia, Indonesia, Thailand, Vietnam and Cambodia. Prior to his new appointment, he was the Senior Executive Vice President for TCC Hotels Group, Thai Charoen Corporation, Bangkok, Thailand. Mabrouk will oversee the operations of FRHI’s portfolio of hotels in China with a focus on performance, employee engagement and implementation of quality and standards, and will be based in Shanghai. Foued joins FRHI Hotels & Resorts from Hyatt Hotels Corporation where he held the position of Area Director, East China, and was responsible for the hotels in Shanghai, Ningbo, Suzhou and Hangzhou. Meyer will oversee several properties in the region and will work closely with the respective hotels’ general managers on strategic and financial issues in his role as regional vice president, Asia Pacific. As Managing Director of Fairmont Singapore and Swissôtel The Stamford, he will lead the two iconic hotels which boast 769 and 1,261 rooms respectively. Meyer spent more than two decades with InterContinental Hotels Group. Perkins will lead the human resources function for FRHI Hotels & Resorts in the Asia Pacific region. She held various positions commencing in the food and beverage division, moving into training and human resources with The Ritz Carlton Hotel Company, in Hawaii, Australia, the Middle East and was appointed Vice President, International, where she was based in Washington DC for seven years. Anthhony will be based in Singapore as a strategic business partner to the Asia Pacific regional operations team, providing financial leadership in achieving key performance objectives and driving growth. Prior to this appointment, she held the positions of regional director, finance, Asia Pacific and regional director, finance, South East Asia at Starwood Hotels & Resorts as well as regional financial controller for Aman Resorts Ltd in Indonesia. Banyan Tree Phuket and Angsana Laguna Phuket named Gallerne Ludovic the new Area Director of Sales and Marketing, responsible for both resorts. The new appointment is part of Banyan Tree’s direction to adopt an integrated approach for the communications strategy for the two flagship properties. Before moving to Phuket, his last position was Director of Sales & Marketing at JW Marriott Phuket Resort & Spa and Anantara Bangkok Riverside Resort & Spa based in Bangkok. He also has tour operator experience, having been the French Department Manager and Executive Manager Product & Contracting at Travex Co., Ltd. in Bangkok prior to joining the hospitality industry. Sabre announced that Yannis Karmis will lead the newly formed Global Corporate Solutions group at Sabre Travel Network, where he will oversee corporate travel solutions such as GetThere, which provides technology to corporations through its innovative online and mobile booking tools; TruTrip, which will allow business travel buyers to easily capture travel activity across booking sources; TripCase Corporate mobile app and other areas of the business that support corporate travel. The new global group brings together all parts of the corporate travel business at Sabre into one team whose focus will be on providing the latest technology such as mobile and data insight solutions to make business travel more seamless, easy and efficient for corporations, business travelers and the travel management companies who serve them. Karmis brings a wealth of corporate travel experience to the role having served with Sabre in a number of roles including leading Travelocity Business, where he served corporations and oversaw a portfolio of technology solutions. He also previously led travel agency product sales and business development for Sabre Travel Network.